Who are the HAMs out there? Discussion in 'Electronic Devices' started by Mr. Gadget, May 30, 2014. I think you have major time before needing to retake the tests. I know that I also got no notice ad I am pretty sure it was more than a year late but I just had to go to the FCC website and pay and I was back in the game! File for renewal 30-60 days, but no more than 90 days, before your license expiration date. 47 CFR Section 97.21, provides that when your application for renewal has been received by the FCC on or before the license expiration date, your operating authority is continued until the final disposition of your application. If your license expires, you may apply for renewal of the license for another term during a two-year filing grace period. The application document must be received by the FCC on or before the end of the grace period. G.T., YankeeHotelFoxtrot and mauiblue like this. What ballistic said! I will also make note that there is no longer a fee to renew your Armature License if you go directly to the FCC website. YankeeHotelFoxtrot and ballistic like this. I got mine through cross training with the medical reserve. I would normally have a HAM assigned to me if one was available but I decided I'd rather have my own comms if needed, so when the chance came up I got my ticket. I have a Baofeng portable that I keep with some support stuff in a Maxped bag, and I have a Yaesu 3700 in my jeep. I'll develop my equipment some more when I get time. Guarddog and ballistic like this. I guess I forgot to post this here but I snagged this a week or so ago and it might be the best Toy that I have ever had! 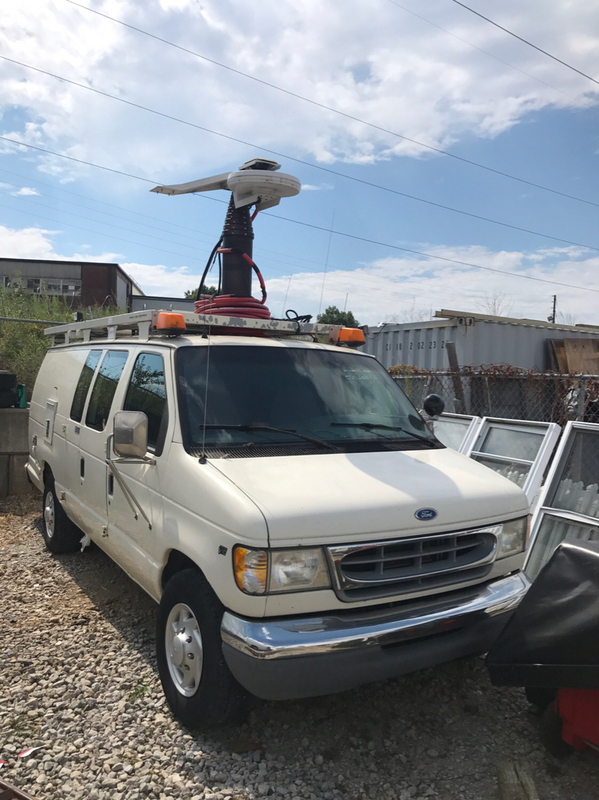 It has a 52' Pneumatic Mast! or at least it was in a past life! Weko, ballistic, M24shooter and 2 others like this. KG6RDD here. Keep a Kenwood TH-F6A with me at the flying field and desert trips. Man EZ, you have going to be a big hit on the annual Field Day !!! YankeeHotelFoxtrot and Guarddog like this. Taking my Technician test a week from tomorrow. A crazy amount of stuff to cover for a 35 question test. I was pushed into HAM because my Jeep club requires it now, but I’ve been looking for a reason for a while now. I picked up a cheap BaoFeng UV-5R to get my feet wet until I pick up a better mobile rig. I’m sure that this will be another hobby rabbit hole that I will go down and end up getting the advanced licenses and better equipment. Jeep is still a bit dusty from the trail run this weekend. YankeeHotelFoxtrot and Moshe ben David like this. Ham for a Jeep club to go off reading seems to be overkill to me. We always used CB radios. Well ham is a lot clearer and you can pick up a BaoFeng for $20. If you’re just listening, you don’t need a license. If you have a big enough group, the guys at the back can have a tough time hearing the leader with a CB when running the mountain canyons around here. The other advantage, personally, is that there is a lot of Utah that doesn’t have cell coverage. If you are off in the backcountry it is good to have that ham option. Either way, it's great having a method of communication that's free, minus the initial cost of the equipment. Wait till you go for a General Class or Amatuer Extra class. I'm prepping for my General in a few months. It depends on the club. Two years ago I went out with a mixed group, 7 rigs, I've got CB and HAM, someone else had GMRS, 2 others had CB, one guy has a HAM but no license. The Nissan group I'm part of is mixed, a few have all 3, but most have either HAM, CB or both. 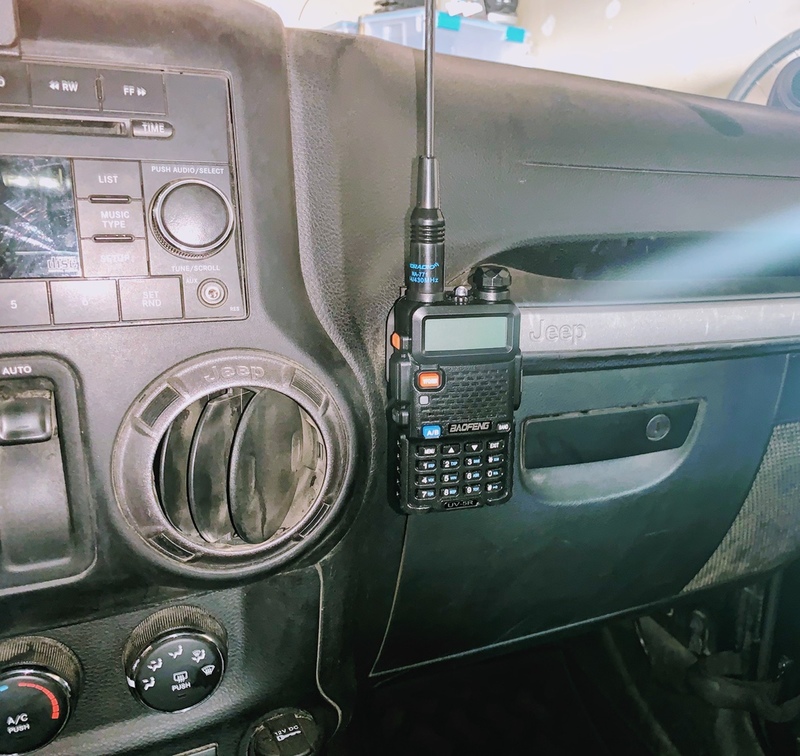 Currently I have a fixed mount CB, I carry a Yaesu handheld, I'm planning to get my General license this summer and also add GMRS. There have been few decent backcountry rescues in Colo. that happened because someone had a HAM license. For anyone with a General license or planning to get one, the FCC question set for the General license changes in July of 2019.